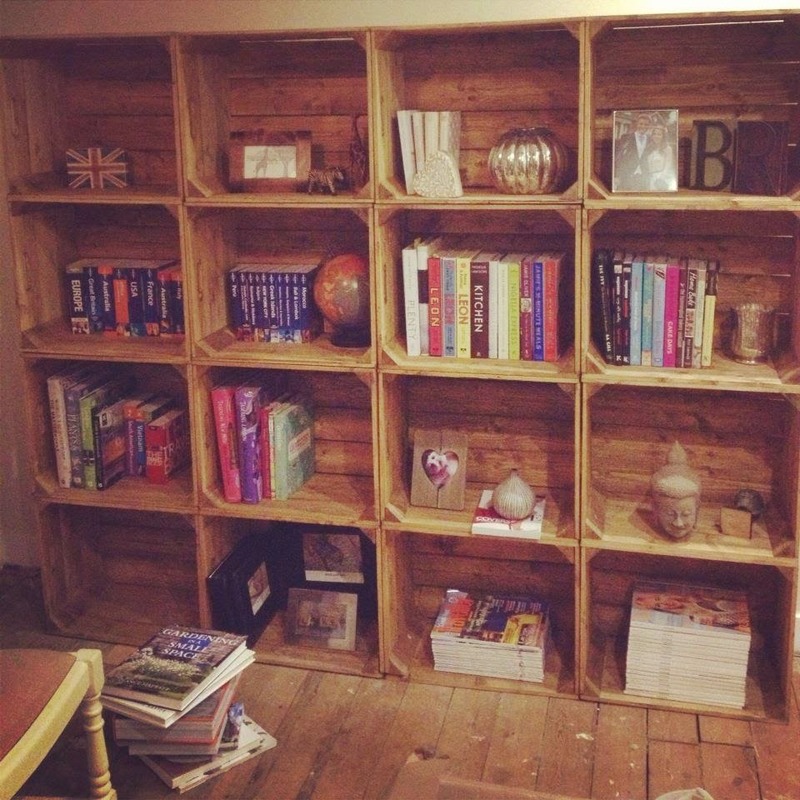 One of the things I get asked most on Instagram when I share photos of our house is 'is that a wall of crates? Where did you get them from?'. 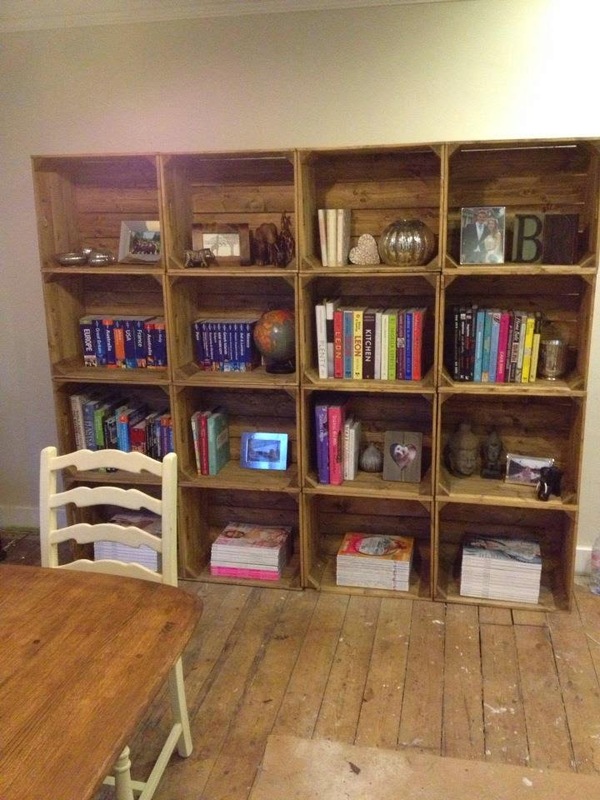 The answer is yes, we do have a wall filled with crates stacked up on each other and Ben made them for us after I saw a photo on Pinterest one day. 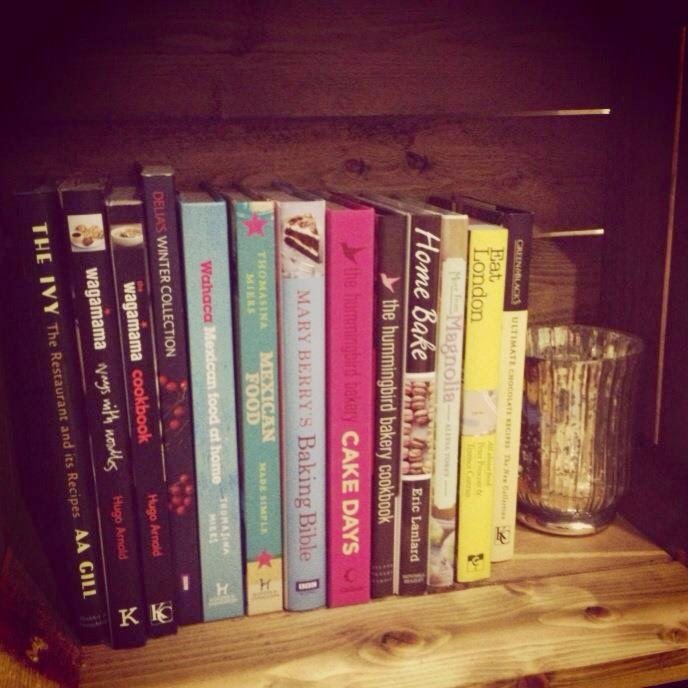 It's one of my favourite features in our house and displays various books, photo frames and decorative bits. I'd love to share how he did it if you're interested. 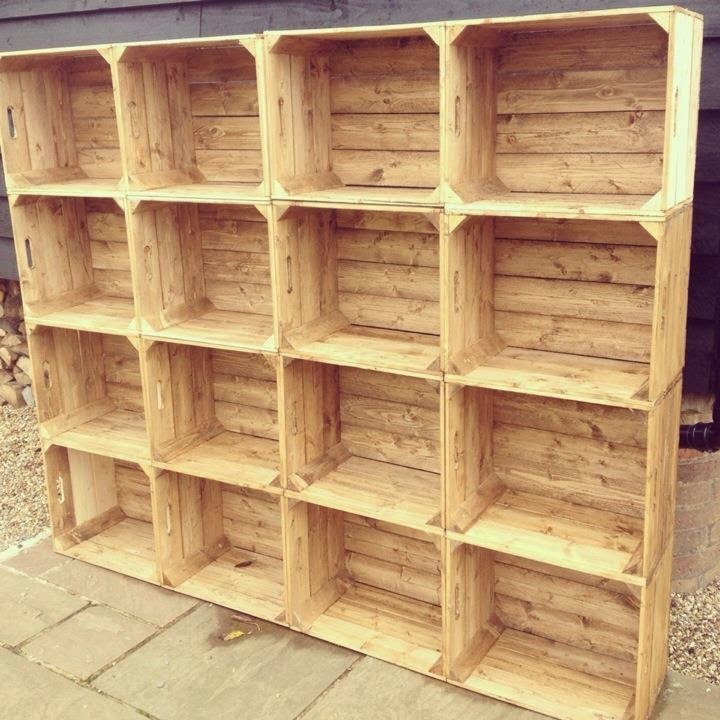 When I first found a photo of crates stacked up I couldn't look at a normal bookcase in the same way again. 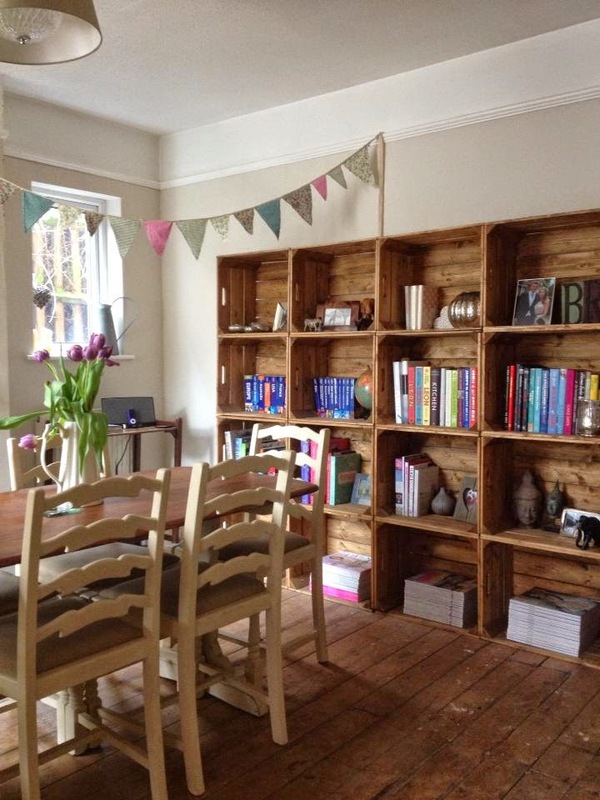 When we lived in London Ben built an industrial style shelving unit for displaying my favourite books and photo frames, we moved that to our loft room when we moved to this house but I wanted something for the dining room that would be a bit of a feature. I found the photo at the time that shops started displaying things in vintage crates and Ben and I started looking up crates to buy to make our wall. We quickly realised that being vintage, we wouldn't be able to find a number that were the same size and in a good enough condition to stack together properly. They were also costly and buying sixteen would quickly add up. Before I knew it Ben had come up with another plan, he would make the crates out of pine, ripping long pieces of wood through a table saw to give them character, show the grain and look more industrial. He nailed the wood together to make boxes before drilling two holes and cutting out the middle to make handle cut outs. 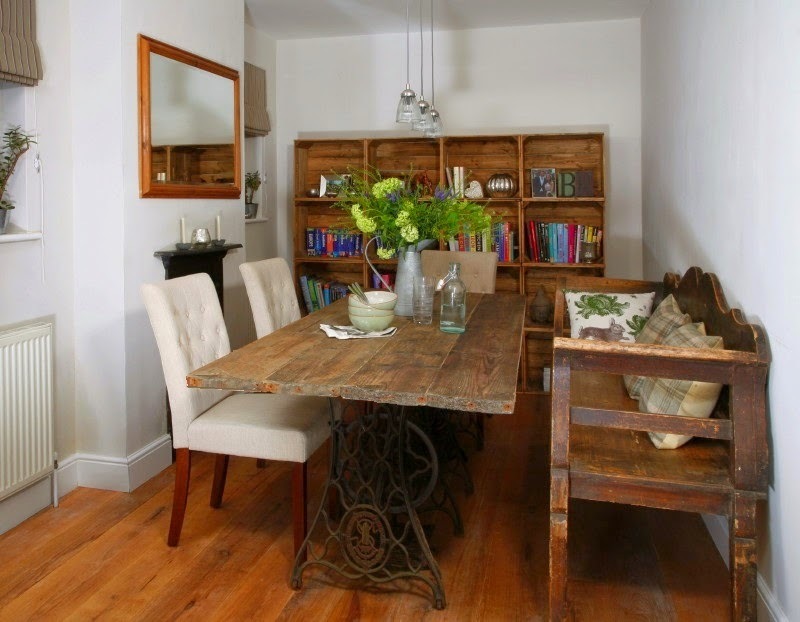 The problem with new pine wood is that it doesn't have much colour so to give character, we rubbed Briwax antique brown wax on for colour and a vintage look. You can see the colour difference in the photo above in the bottom left hand corner. This was half way through the wax, just rub more in until you get the colour you want. Sorry this DIY probably won't make much sense unless you're used to cutting wood and building things, I have no clue. More of a post for inspiration than real DIY stuff but if you would like a more detailed guide I can email one over. When we moved in, I couldn't wait to get unpacked and fill the crates. 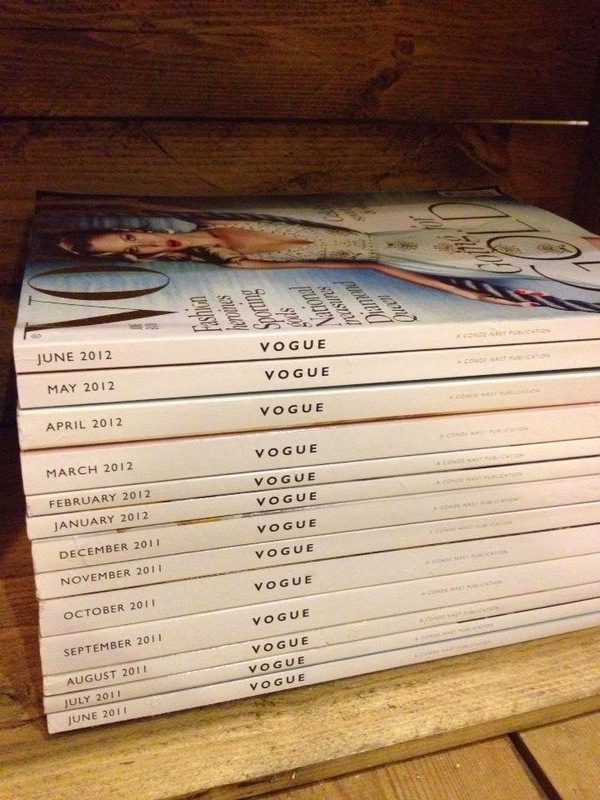 On the bottom I stacked magazines, there's two for Vogue, one for Conde Nast Travel and one for various Wedding magazines collected over the last few years. 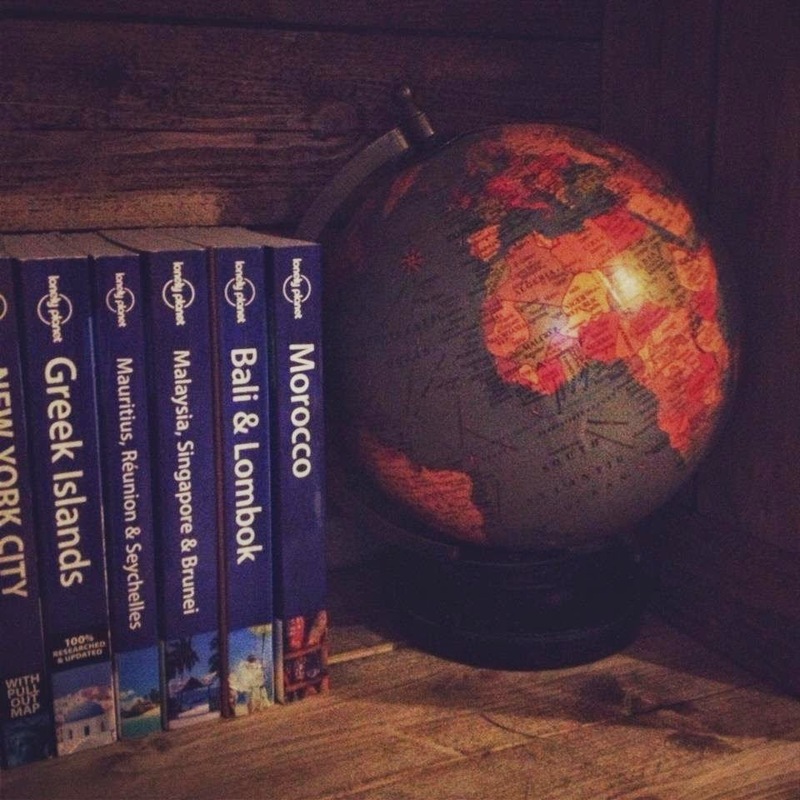 There's a section for our love of travel with Lonely Planet Guides and a globe, buddhas and wooden animals from adventures in Africa and Asia, cookbooks, mercerised silver pretty tea light holders, photos and coffee table books on subjects from gardening to the best walks in London. It's a way of displaying some of our favourite bits. 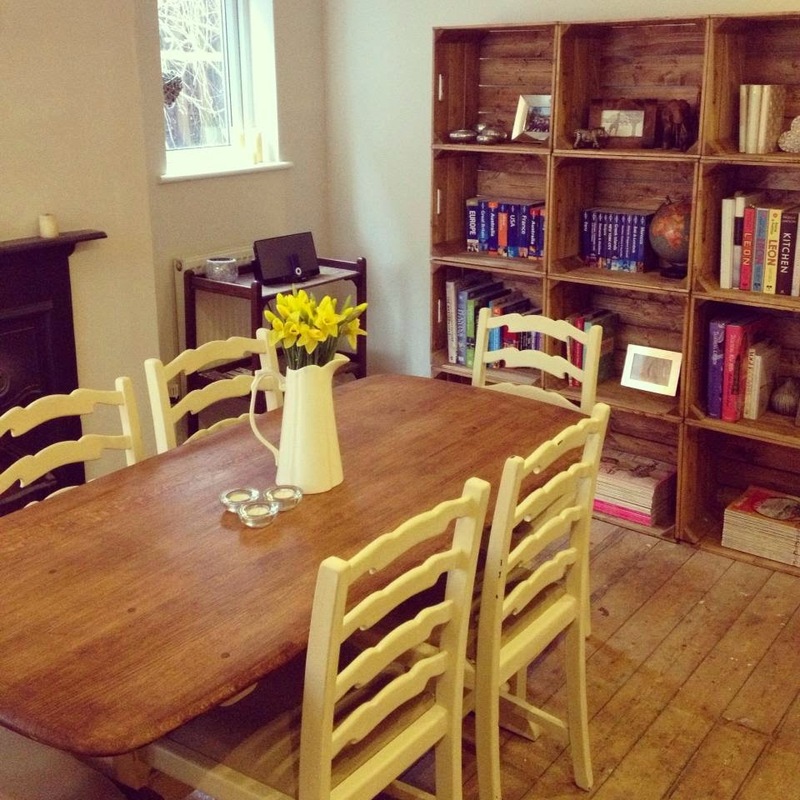 These photos are pre building work, look at our mismatched paint coloured floor! Post coming soon on our kitchen/dining room extension and building work. We added a wall in so the crates just shifted up and now sit more centrally on the wall at the end of the room behind our dining table. 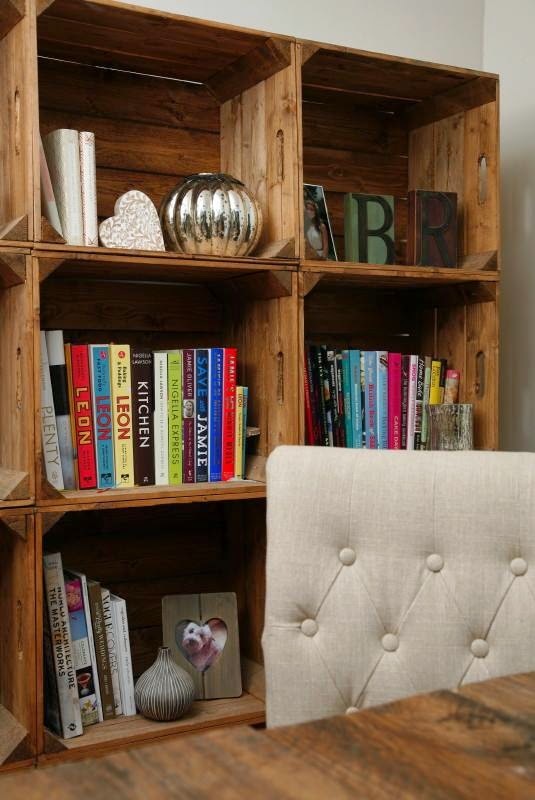 I love the crates, an alternative version to a standard bookshelf for storage. If you've got things to display you may as well do it prettily. I would love more info on building this! Dimensions, supplies, instructions, etc. Thanks!